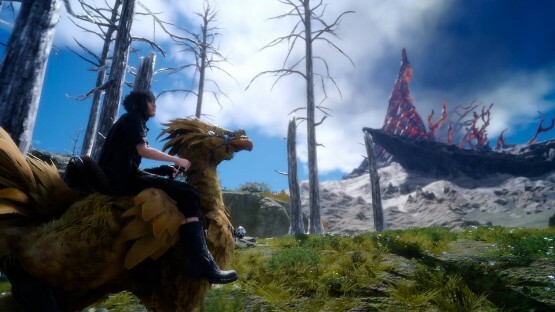 When Final Fantasy XV launched back in 2016, it was filled with problems. The gameplay wasn’t great, the story was a mess but the huge problem I and many fans had with this game is the game was overall incomplete, and Square Enix and the team knows this. Of course, I don’t blame them much since the development for Final Fantasy Versus XIII…well Final Fantasy XV was a rollercoaster. Square Enix tried to fix this problem by releasing so many expansion packs and Episode nonsense that I’ve lost count of them. When they released the Royal Edition, I finally said to myself “wow this game is finally finished”. But I was wrong. Very wrong. This game is far from finished, and I don’t think we are going to get a fully finished game until 2020. Yesterday it was announced we were getting many new episodes that will come out next year. And all of these episodes will link into the absolute mess that is the Final Fantasy XV story. It was announced we were getting Episode I Ardyn, Episode Aranea, Episode II Luna, and Episode III Noctics. I don’t mind expansion packs. The Witcher 3 had a few, and they were great, Bloodborne had one, Horizon Zero Dawn had one, and Uncharted 4 had a solid standalone DLC. But when a game is released incomplete, and new episodes/expansions are made to fix the base game, that’s when it becomes a huge problem. Even with that, there is a movie and an anime that links in with the plot too. They also have countless collaborations with the next one being with Shadow of the Tomb Raider; They also added some kind of multiplayer called Comrades too. Final Fantasy XV, in my opinion, has lost its identity. I bought the Royal Edition because I to experience the “full” game, but apparently, that will not be the case. Square Enix has even more content planned for Final Fantasy XV.